Thirty-six per cent of Turkish and Moroccan migrants in the Netherlands are thinking about emigrating due to the increasing popularity of the controversial Freedom Party PVV, a study conducted by polling agency Moviction showed Monday. Dutch current affairs television programme NCRV Netwerk which commissioned the poll, is to air the study's results Monday night. More than half of Dutch Muslims think about emigrating from the Netherlands "every once in a while," the study said. 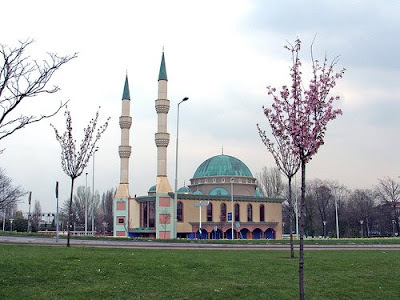 At the same time, however, 76 per cent of Dutch Muslims say they feel at home in the Netherlands. However, 57 per cent indicate this feeling has decreased since the rise of Geert Wilders, the controversial Freedom Party leader who is highly critical of Islam. Two in five Dutch Muslims claim they have experienced discrimination more frequently since the rise of the Freedom Party. Almost one quarter - 24 per cent - of Dutch Muslims say they are "regularly" being discriminated against in the Netherlands. Seventy- five per cent feel native Dutch nationals have become more negative in their views towards Muslims since Wilders' popularity increase. Remarkably, almost one fifth of Dutch Muslims - 18 per cent - partially agrees with Wilders' political ideas, while 30 per cent say they "understand" why so many Dutch nationals vote for the PVV leader. Public television programme NCRV Netwerk commissioned the study following the Freedom Party's victory in the elections for the European parliament on June 4. The PVV, participating in the elections for the first time, won 4 seats, becoming the second biggest Dutch party in the European Parliament. On June 7, a national survey conducted by polling agency peil.nl said that if general elections for the parliament were to be held in the Netherlands that day, the Freedom Party would emerge as the biggest party. The poll said the PVV would win 31 seats, beating establishment parties Christian Democrats and Labour, at an estimated 29 and 21 seats, respectively. The Christian Democrats and Labour, which now hold 41 and 33 seats respectively, currently make up the coalition government together with the smaller Christian Union (6 seats).